Read more about our games! Tactil Arts introduces its first product, Real Riders. 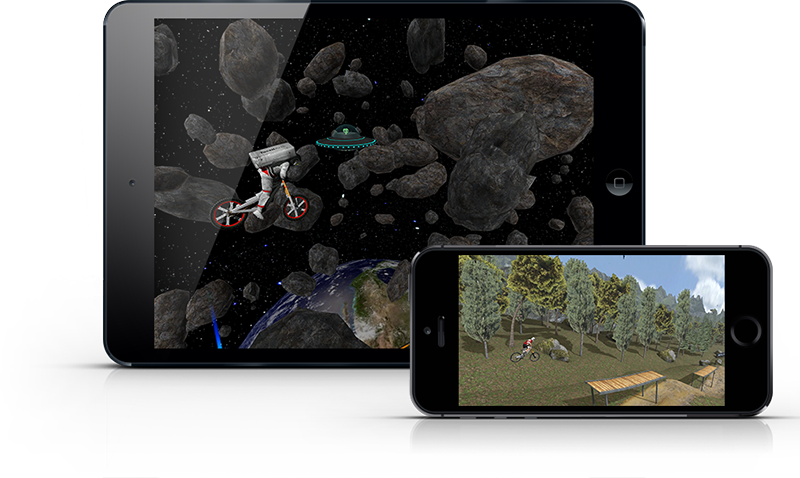 A bike simulator for mobiles and tablets based on real physics. First released on IOS, but developed for all mobile platforms.Free to play and with no banners or adverts that makes you want to smash the phone. Our plan is to be kind with our customers, both players and advertisers. Real Riders features awesome graphics, high speeds, and a fluid gameplay. But we still have much more to offer in the coming releases. More maps and game modes, bike & rider customization, tricks , map editor, multiplayer, splitscreen, cross platform scoreboards and much more! "Real Riders App works great, overall great visuals!" "This is a great MTB app. The graphics and dynamics are great, especially the human body, although that makes it painful to watch crashes." "Fun for sure. Great app!! Nothing like pulling a manual through a rock garden doing 57mph." "Slalom course. Doesn't hit brakes. Doing 70 mph... Looks like 200. Wrecks and goes through a ramp. 21/10 would go sonic speed again." "This game is awesome. Lots of fun and the graphics are amazing. Best free game I've seen in a long time..."
Prepare for the unseen! 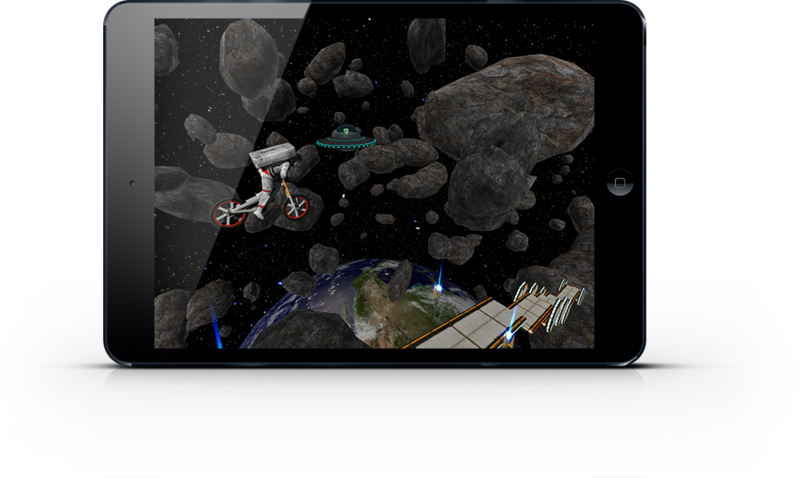 Explore the Solar System, dominate it with your space bike and compete on the leaderboards available of 90 tracks over different planets, asteroids and moons. Tracks full of speed and animations, different gravities and impressive graphics. Smooth gameplay based on real physics simulations. This game doesn't include in-app purchases. No internet connection needed to play.